Judith Shawcross, Head of Professional and Executive Development at the IfM, explains why manufacturing and technology companies need scientists, engineers and technologists who can operate at a strategic business level, work across functional divides and integrate their technical knowledge into business planning. At the Cambridge Service Alliance we are exploring new service-based business models and, in particular, what the business to business (B2B) world needs to learn from consumer-focused companies. The Distributed Information and Automation Laboratory (DIAL) at the IfM are working with companies to develop smart ways of using data to improve performance and increase resilience. The preliminary results of IfM Education and Consultancy Services’ (IfM ECS) three-year work helping SMEs through the PrISMS programme have just been released. Four PhD students at the Institute for Manufacturing (IfM) participated in the 2015 Carl Zeiss Photography competition, with one winning second prize. The Overseas Research Project is a two-week project organised by the final-year Manufacturing Engineering students. The IfM has joined forces with Cambridge-based intellectual property firm Avidity IP to start the Strategic Intellectual Property Forum. IfM Education and Consultancy Services has helped EU-funded project Road4FAME to create a roadmap to align future information and communication technology research with the needs of European manufacturing businesses. Imagine a world where factories clean the water they use, where the air is higher quality leaving the factory than it is coming in, where locally available materials are used in advanced processes to create personalised versions of global products, and where everyone wants to work in factories because they offer the highest value jobs. The Manufacturing Industry Education Research Group at the IfM has hosted the 3rd Annual Symposium of the UK & Ireland Engineering Education Research Network. Stainless Metalcraft is a high specification fabrication and machining company planning to triple its turnover helped by expert facilitation from IfM ECS through the Civil Nuclear Sharing in Growth programme. Read the November issue of the Centre for Technology Management Newsletter. As the annual Cambridge International Manufacturing Symposium marks its twentieth year Dr Tomás Harrington, Dr Jag Srai and Paul Christodoulou from the IfM’s Centre for International Manufacturing (CIM) reflect on the new supply chain thinking that is emerging from companies such as Cisco, Coca-Cola, Jaguar Land Rover, Johnson Matthey, Cambridge University Press and Schneider Electric. This issue includes articles on: 50 years of manufacturing at Cambridge – research, education and practice; The IfM’s distinctive approach to science, technology & innovation policy; The manufacturing challenges of nanotechnology; New thinking about next generation supply chains; Executive and professional development: how experts at Atos are becoming ‘trusted advisors'; And an alumni interview with Jonathan Duck - MET over Lunch. We are pleased to report that a quarterly meeting of Advanced Manufacturing Supply Chain Initiative (AMSCI) Consortium was held at Thorn Lighting, Spennymoor, Durham on 16th October 2015. This year marks the 20th anniversary of the Distributed Information and Automation Laboratory (DIAL) – having started in 1995 as the Manufacturing Automation and Control Systems Group and briefly morphing into the Centre for Distributed Automation and Control or CDAC. 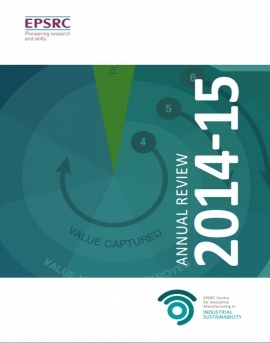 The EPSRC Centre for Industrial Sustainability has published its fourth Annual Review. 2015 is an important year for the IfM. This October sees the 50th annual intake of students on its MPhil in Industrial Systems, Manufacture and Management. This was a pioneering course when it was first conceived and its twenty-first century graduates are more sought after than ever. October 2015 is also when Professor Sir Mike Gregory retires after 20 years leading manufacturing research, education and practice at the University of Cambridge and we welcome his successor, Professor Andy Neely. AutomationML is a rising standard in the context of Industry 4.0. In the meeting, the methods for data access and exchange for automation systems engineering and commissioning were discussed. The reliability engineering community has been battling with the difficulty of modelling the complex behaviour of asset deterioration. One of the key research areas receiving increasing attention is to use mathematical models to capture the phenomenon of dependences among components within multi-component assets. The IfM’s Centre for Science, Technology and Innovation Policy aims to give policymakers the information they need to provide effective support for emerging technologies and industries. A three-year project has significantly enhanced the growth prospects of 120 manufacturing SMEs across the Eastern Region, leading to the creation of approximately 140 new jobs and safeguarding many more. In a world of data enabled ecosystems - Podcasts, presentations and posters. Centre for Smart Infrastructure and Construction held an industrial workshop on Asset Management at the Institute for Manufacturing on the 28th of September. The workshop brought together practitioners across different infrastructure sectors to discuss the emerging challenges in asset management, and to help the Centre set directions for future research. IfM ECS has delivered a roadmapping project for the UK’s marine industries on behalf of Innovate UK. Today is my first day as the Head of the IfM. My predecessor, Mike Gregory, leaves us in great shape to carry on doing what we do best - developing new insights into manufacturing and sharing them as widely as possible to help build successful businesses and industries. David Wolffe, who graduated from the Manufacturing Engineering Tripos in 1986, has been awarded 2015 Good Design Award. The 2016 programme launch meeting will be hosted in Cambridge on Wednesday 18 November, providing interested companies with an opportunity to shape the programme for next year. The latest in a series of CSIC Future Technologies Workshops, Big Data – the Art of the Possible, attracted 50 leading professionals and academics from more than 30 organisations keen to discuss big data in the context of smart infrastructure and construction. Innovation is key to growth – but how do you manage it efficiently and how do you go about deciding what new product or process to invest in? Nearly 300 of the UK’s top academics, industrialists and government representatives were in Cambridge last week discussing how to support innovation and world-class manufacturing in the UK. 75 Polish scientists have spent their summer in Cambridge, learning how to manage collaborative research projects and bring high-technology products to market. The Centre for International Manufacturing is now hiring for Research Assistants/Associates. Qingxin Zhang from the Fluids in Advanced Manufacturing (FIAM) group attended the Deans’ Forum at the University of Tokyo for a five-day intensive lecture programme about microfluidics and its biomedical applications. Big data has been touted as the 'new oil for business', representing incredible potential financial rewards. How should they go about using it, asks Professor Andy Neely. What makes an intelligent infrastructure asset? 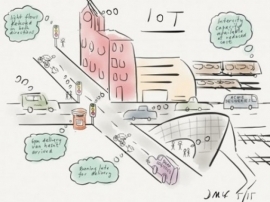 What would it take to enable a piece of infrastructure to take care of itself, asks Duncan McFarlane of the Cambridge Centre for Smart Infrastructure? £11.2m of government funding for the REMEDIES (RE-configuring MEDIcines End-to-end Supply) project has been approved, meaning work on the project can accelerate into its next phase. Podcast Interview with Dr Veronica Martinez on 'Making the Shift to Services in the Animal Health Industry'. A new report discussing key lessons and effective practices from UK and US experiences for building and nurturing effective and mutually beneficial strategic university-industry partnerships. Dr Mohamed Zaki describes recent research from the Cambridge Service Alliance into data-driven business models. Keno Mario-Ghai, who graduated last year, was filmed at the IfM for a television programme to go out on the Discovery Channel next year. The Centre for Technology Management have launched a research study to better understand strategic decisions that need to be taken in the different stages of technology development projects. In July, researchers from the Distributed Information and Automation Laboratory were actively involved in the IEEE INDIN 2015 conference on Industrial Informatics. We are pleased to report that a quarterly meeting of Advanced Manufacturing Supply Chain Initiative (AMSCI) was held at the Institute for Manufacturing on 17th July 2015. In 2014 IfM helped Linde Gases develop its technologically advanced gas cylinder valve, EVOS™ Ci. On 29 June Linde received the 2015 ‘Red Dot’ award for Product Design, seeing off competition from nearly 5,000 other entries. 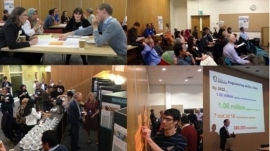 The EPSRC Centre for Industrial Sustainability (CIS) held its Fourth Annual Conference on 6-7 July at Fitzwilliam College, Cambridge. Dr Alena Puchkova presented a paper titled "Towards Lean and Resilient Production" at the Symposium on Information Control in Manufacturing (INCOM 2015). Listen now to the podcast of Dr Mukesh Kumar Podcast from the UK-India food supply chains: sustainability and food security conference. Can you help Mars, PepsiCo and Heineken find innovative solutions to their business challenges? Pitch your ideas and products to senior leaders from major food and FMCG firms at the 4th Food & FMCG Innovation Pitching Event on 17 November at Food Matters Live, ExCel, London. Researchers from the Distributed Information and Automation Laboratory visited YH Global in China for a two-week field trip in June as part of the ITALI project. Happy Academy is one of more than 100 smaller manufacturers that IfM ECS is working with as part of the PrISMS programme – and this case study highlights the difference it has made. The Institute for Manufacturing is launching the Strategic Intellectual Property Forum (SIPF) to support companies in using their IP when making strategic decisions. The Forum's first event will be held on Tuesday 7 July. The latest edition of the SMe-bulletin contains information on a 'Make it Here' event, two new case studies, and reports on recent events. dB Broadcast is one of more than 100 smaller manufacturers that IfM ECS is working with as part of the PrISMS programme – and this case study highlights the difference it has made. CSIC’s Asset Management team based at the Institute for Manufacturing has won a prize for the Best Poster and Presentation at the Institute of Asset Management (IAM) Annual Conference 2015. Teams of MET students completed a major design project to develop a new product with real business potential, which they then presented at the Design Show on 3 June. Expecting the Unexpected article by CSIC's Duncan McFarlane and Tariq Masood published in Infrastructure Intelligence. Professor Andy Neely has been appointed as the new head of the Institute for Manufacturing and Professor of Manufacturing on the retirement of Professor Sir Mike Gregory on 30 September. Researchers from the Institute for Manufacturing are helping to run a nationwide Call for Evidence to support the development of a UK national strategy for additive manufacturing/3D printing (AM-3DP). IfM Education and Consultancy Services (IfM ECS) is taking part in a project to advise the European Commission on priorities for research to help boost manufacturing productivity and competitiveness across Europe. A ten-member delegation comprising senior civil servants from various administrative sections of the Government of Pakistan paid a visit to the IfM on 25 May. Ecotile is one of more than 100 smaller manufacturers that IfM ECS is working with as part of the PrISMS programme – and this case study highlights the difference it has made. 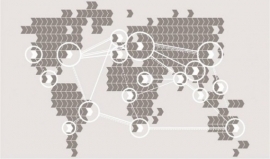 The 2014 Annual Report from the Cambridge Service Alliance has been published - The Alliance is a unique global partnership between businesses and universities. IfM ECS has been working with Swindon and Wiltshire LEP and the Liverpool City Region LEP to help them develop their own vision for high value manufacturing in their regions, and to do so in a way that supports national initiatives. Industry experts and researchers shared their insights on smart packaging and its applications in the food and drink industry in a thought leadership event held at the IfM. Is big data still big news? 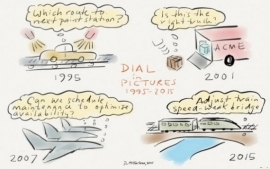 People are describing data as being ‘the new oil’ - but is it true? Dr Mohamed Zaki from the Cambridge Service Alliance explains that, while many companies are already benefiting from big data, it also presents some tough challenges. Over a decade ago, Phil Sorrell set up FE-Mobile and with colleagues created the world’s first highly secure downloadable mobile banking platform, now used by millions worldwide. The latest edition of the SMe-bulletin contains a new case study, information on recent events and an upcoming thought leadership event on smart packaging. Newton Commercial is one of more than 100 smaller manufacturers that IfM ECS is working with as part of the PrISMS programme – and this case study highlights the difference it has made. This CSTI project 'Pathways to Manufacturing' aims to advance understanding of the manufacturability challenges faced when deploying a new technology at scale. An outstanding line-up of speakers from industry and academia have confirmed their presence at the 19th Cambridge International Manufacturing Symposium on 24-25 September. What's all this rubbish about repair? The UK generated over 200 million tons of waste in 2012 which comprised 14% from households. Of household waste, 2 million tons can be attributed to waste electrical and electronic equipment each year. Distributed Information and Automation Laboratory (DIAL) at the Institute for Manufacturing is pleased to introduce a new research project in liaison with the Engineering Design Centre (EDC), aimed at advanced manufacturing of smart products for homes, buildings and infrastructure. An Industrial Data Recommender System to Solve the Problem of Data Overload" at the European Conference on Information Systems. In November 2015, the Distributed Information and Automation Laboratory at the Institute for Manufacturing will host Sohoma 2015, an international workshop on Service Orientation in Holonic and Multi-Agent Manufacturing. RedBite Solutions is a technology company that turns physical objects into smart objects by connecting them to the cloud. Any object can have it’s own digital profile – just like people do on social networks, which means you can connect with the things that you own, manage and use in a much more intelligent way. Dr Ronan Daly explains why taking a cross-disciplinary approach to advanced manufacturing research has the potential to deliver solutions to some of the world’s most pressing problems. The Institute for Manufacturing is among a number of organisations in the education, public and private sector to support the new manufacturing-focused website Made Here Now, launched today. The 2015 annual report has been published. The booklet contains details of current IfM research and education projects, activities with industry and government and outreach initiatives. Dr Mukesh Kumar shares research and guidance from the Centre for International Manufacturing which can help multinational companies manage their supply network risk more efficiently. The Bit by Bit research team has launched a new project to explore the interrelationships between 3D printing/additive manufacturing and re-distributed manufacturing. Former IfM postgraduate student, Richard Joseph set up innovative kitchenware company, Joseph Joseph in 2003 with his twin brother. It now has a turnover of £40 million, sells its products in 104 countries and has 80 employees. The Centre for Science, Technology & Innovation Policy (CSTI) at the Institute for Manufacturing has launched a portal focused on manufacturing policies. Dr Ronan Daly, from the IfM’s Inkjet Research Centre and founder of the new Fluids in Advanced Manufacturing Group, explains why taking a cross-disciplinary approach to advanced manufacturing research has the potential to deliver solutions to some of the world’s most pressing problems. On 18 March, the Institute for Manufacturing (IfM) held a workshop at the White House, Washington D.C., where UK and US government agency representatives and academics compared their approaches to developing advanced manufacturing institutes. The Centre for International Manufacturing has secured a grant for their new project: ‘Exploring impact of food processing on the sustainability of food supply chains – a UK-India bilateral analysis’. Lessons and Effective Practices from UK and US Experiences. Milbank Concrete Products is one of more than 100 smaller manufacturers that IfM ECS is working with as part of the PrISMS programme – and this case study highlights the difference it has made. This issue features articles on advanced manufacturing, big data, management tools and toolkits and high value manufacturing, as well as news and updates from the IfM. Quantum technology has been identified by the UK Government as having the potential to deliver significant benefits to the UK economy. The latest edition of the SMe-bulletin has just been published and it contains a new case study, information on recent events and upcoming courses – and opportunities for companies to engage with the IfM. The Institute for Manufacturing’s dissemination arm, IfM Education and Consultancy Services (IfM ECS) has issued a document detailing how it can help mid-size manufacturing and technology companies. Harlow Group is one of more than 100 smaller manufacturers that IfM ECS is working with as part of the PrISMS programme – and this case study highlights the difference it has made.